Top Classifieds websites in USA - Buying and selling have been a part of the everyday human activity for a long time; humans exchange money for their needs or swap what they have for money so they can spend it on other things they don’t have and in dire need of. What you have may be tangible goods or a service you can offer, either way, it is essential to advertise what you have, to make it sell. Web designers create a classified website to connect both buyers and sellers, it is a place to post what you sell, and people interested in your products/services can get in touch with you via the contact details you left on the website. Unlike online stores, Classified websites let you sell both used and brand new products. When you hear the word “classified Ads”, the first thing that comes to mind is OLX. The website is not only popular in the United States of America but across the world. 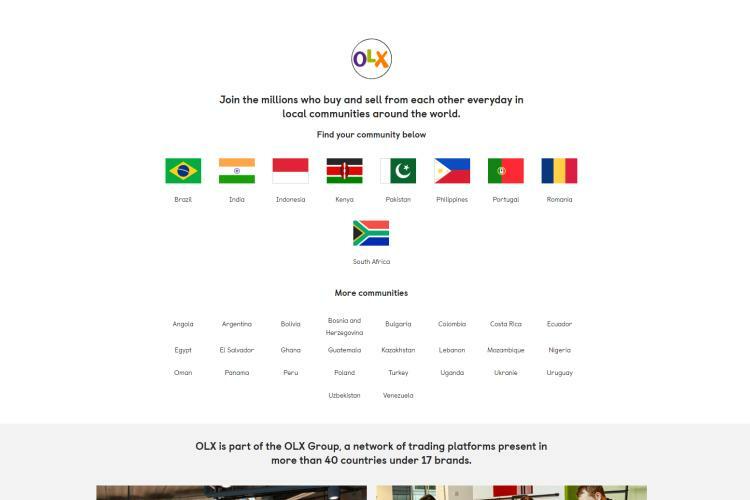 OLX was initially started as a NewYork-based classified Ads website before it goes global to what it is today, the site lets sellers create their Ads and publish it immediately, more options are allowed on the Ads such as the location of the seller, pictures/videos of the product/services, description, price, and so on. The website features many categories such as jobs, cars, properties, pets, services and many more. A discussion forum is provided to boost buyers and sellers interactions. Another name to be reckoned with in the world of classified Ads, Craiglist is a local platform that lets people post advertisements relating to jobs, services, and properties available for sale or lease. Like OLX, the website also has a forum, community, and personal event sections. Craigslist was founded in 1995, and as at today, the site receives over 60 million traffic per month. With the comprehensive, responsive, and user-friendly platform, one can buy n sell more than just personal items in the United States, locally. They allow you to place free ad postings on their site, as long as you are a local goods and services provider. The platform also allows you to lists jobs, adopt pets if you are looking to offer them a new home, and also buy and sell properties and electronics items. The interesting function of their platform is that you do not even need to register to access their site. This is an OliGroup initiative that was founded in 2012. Today it attracts millions of visitors each month. eBay is a popular marketplace; The company also provide a website for classified advertisements for SMEs to advertise their business free of charge. eBay Classifieds allows you to sell personal items, see job offers, adopt pets, buy or sell properties and much more. The most fantastic feature of eBay Classified is that you do not need to register before you can have access to the Ads. eBay Classifieds receives nothing less 100 million traffics monthly. Also, a popular classified ad website in the United States and also popular across the countries of the world;Adpost features over 1000 cities in over 500 regions of the world. Adpost allows users to post advertisements in various categories like personals, furniture, home/office, job opportunities, and so. Many subcategories you can post your Ads in. Or buyers and prospects, the website layout and navigation is simple; you can quickly find Ads by selecting a country, region or city. Oodle another popular classified Ads website that accumulates Ads from other advertisement websites like OLX, Quickr, Reckons, eBay, ForRent and so on. 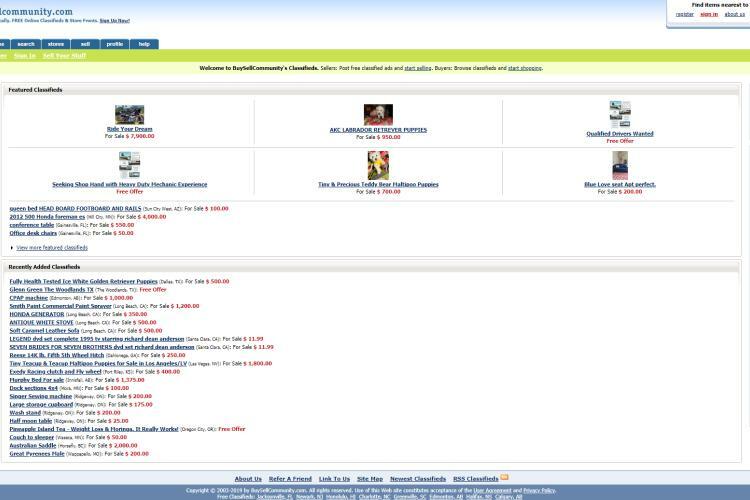 The website also has its original local listings posted by its users. 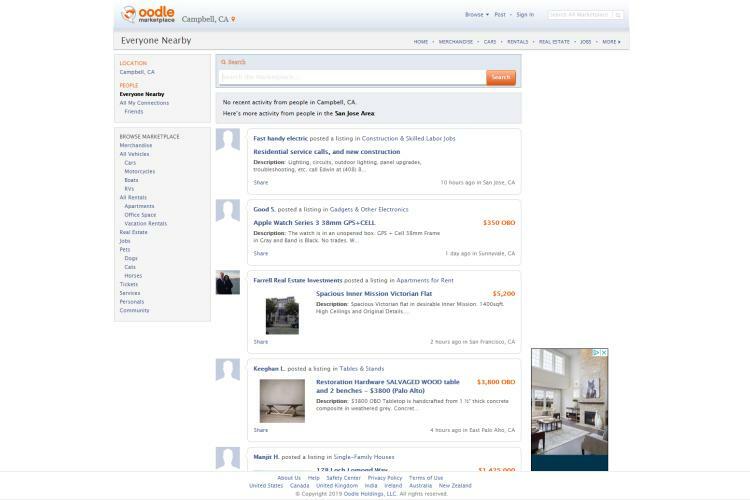 Oodle has much to offer as you can find a variety of things to buy or sell on the website. With the multiple sections, you can find a section to buy or sell automobiles, rent or buy an apartment, find or post a job, adopt a pet, check out recommendations from people you know on goods/services purchased on the website, and many other things relating to advertisements, buying or selling. 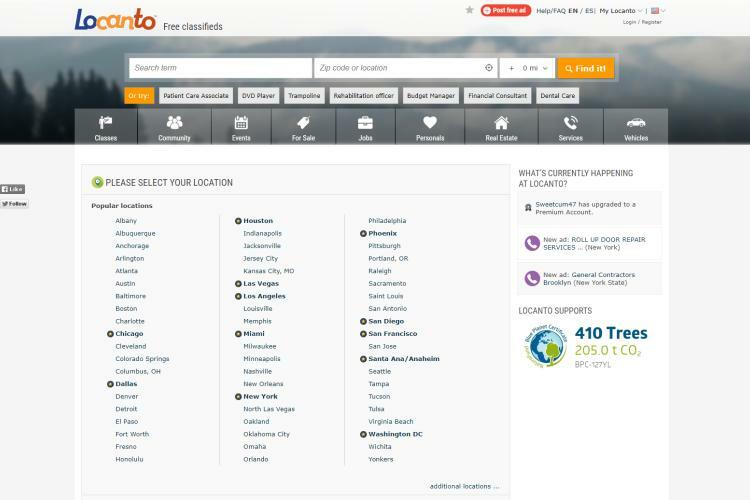 Locanto is another free classified Ads website in the United States; the website displays over 2 million Ads originating within the USA. To leave room for other Ads to rank, each posted ad is active for two months (i.e., 60 days) and then the Ads can be extended if need be. Locanto allows HTML on the Ads page for full customization, and you can also add videos and photographs. 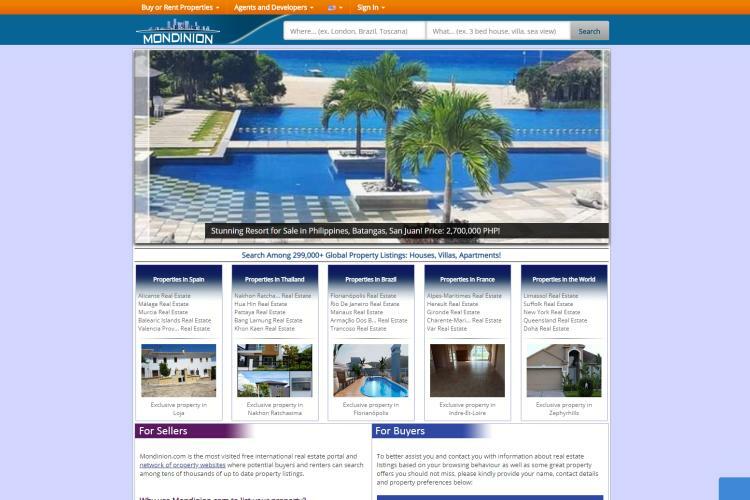 Locanto lets you advertise in various categories such as pets, real estate, services,. Hoobly is the right choice if as a seller you want to target the US populations, Hoobly features loAds of options that will surely make your Ads reach the right audience in the shortest time possible. For buyers, to access the listings, you can either provide your details in the registration process or ignore the registration and input your country and state. Better still buyers can access listings via category filters. Kugli is not only a classified advertisements website but a classified business networking website because of its capability. Kugli is a website for employers who are looking for suitable employees for their jobs and likewise employees looking for suitable jobs. Manufacturers can also use the website for hunting potential buyers for their products. Posting Ads on Kugli.com is free-for-all categories; you can post Ads in categories like services, jobs, real estate, pets, and more. Domesticsale is another free classified ad website; the website offers you the opportunity to post Ads in various available categories. Categories of Jobs, goods, and services you can post or find on Domesticsale include real estate, different product sales, vacation planning, property rentals/sales, and more. Visit the website and see for yourself. 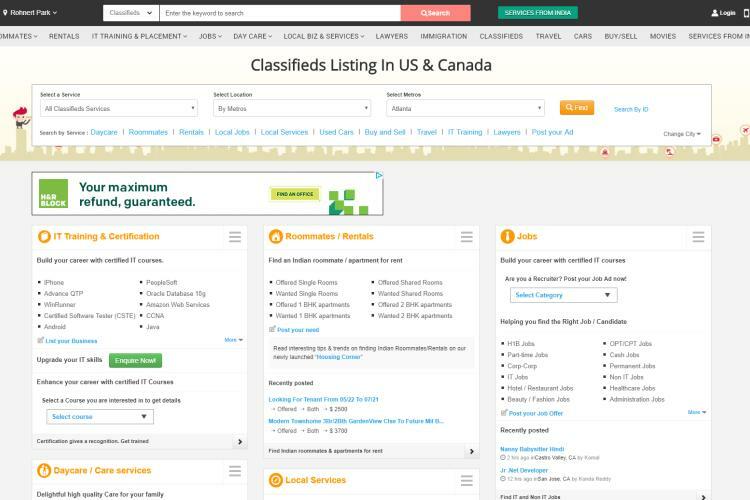 The name says it all; ClassifiedAds lets people post classified Ads on its high traffic website free. The website provides various categories you can post your advertisements in; items, jobs, services, pets, real estate, vehicles, personals, and others. ClassifiedAds also provides video tutorials on how to post your Ads properly generating more attention from prospects. 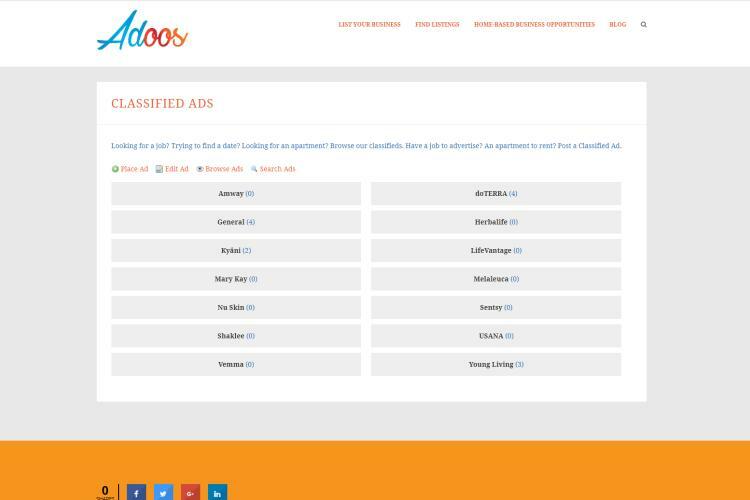 Unlike other classified ad websites mentioned earlier, Adoos is mobile specific, which means you can post Ads, and publish view Ads on your mobile devices. The website’s interface has been designed to suit all mobile device screen resolution, so you may not need a PC to access the website amazing functionalities. Posting and publishing Ads are quick and effortless; live chat functionality is also made available to encourage interactive discussions between sellers and buyers before a deal is done. Adoos lets you add photographs in your Ads postings so thatyou can upload attractive pictures of the item or service you are selling. Do not let the name mislead you, Recycler deals not only in used items but brand new ones. Most active categories on the website are properties, vehicles, electronics, furniture and you can also find or post jobs on the website. 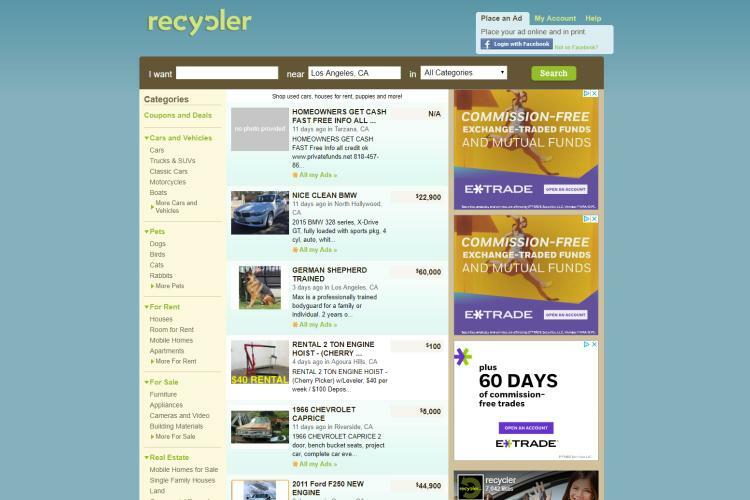 Recycler popularity is international and Ads posting is free. 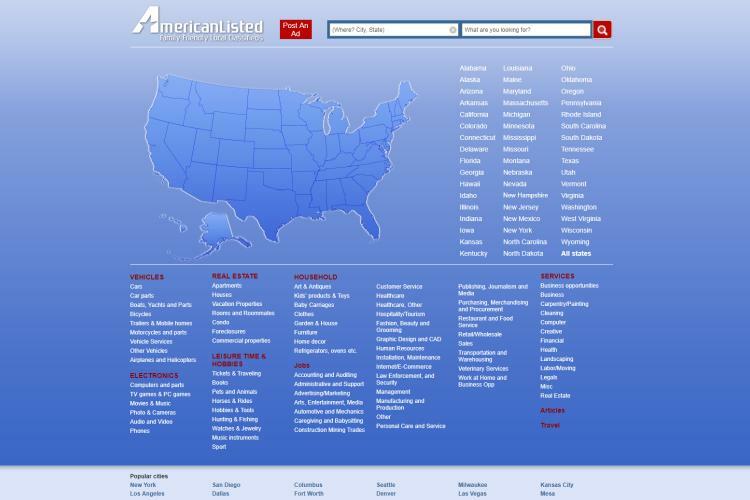 Americanlisted is a US-based free classified Ads website founded in 2007; it provides a simple and safe platform for people in the US to buy or sell within the neighboring cities/states. Categories of things you can sell/buy onAmericanlisted website include items like cars, properties, goods. You can also hire professional services on the website. Registrationis not required, andall Ads are reviewed by administrators before they go live. Sulekha is a global classified Ads website with a branch in the USA; the website offers to help you promote whatever you have to sell as long as it is yours and selling it won’t break any government law. 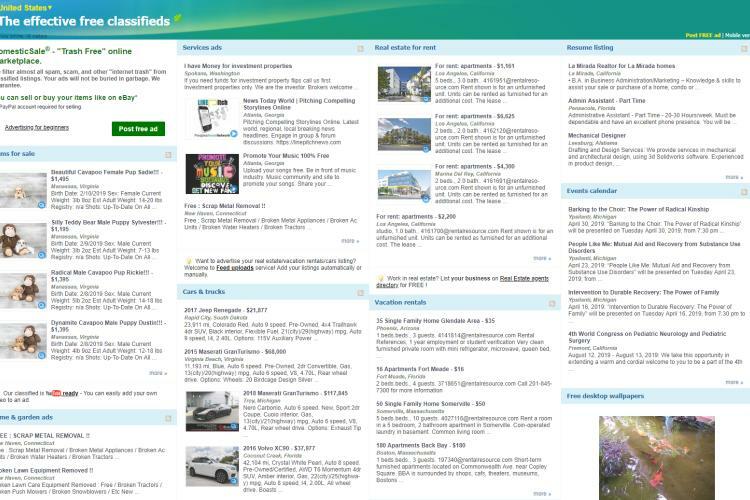 On the website, you can post or view Ads relating to a variety of items, skills, and services. You can also purchase complete travel packages on the Sulekha USA website. Postcrescent makes it easy for anyone to find or post new Ads. Even though posted Ads must be verified but new Ads can go live in just a few minutes and you can further share it to social media pages or use the Postcrescent promotion option to get your Ads to more targeted set of people in the United States. Postcrescent deals in both products and services and has created categories to organize posted Ads, post your advertisement in an appropriate category and you will meet someone interested in what you sell in the shortest time possible. 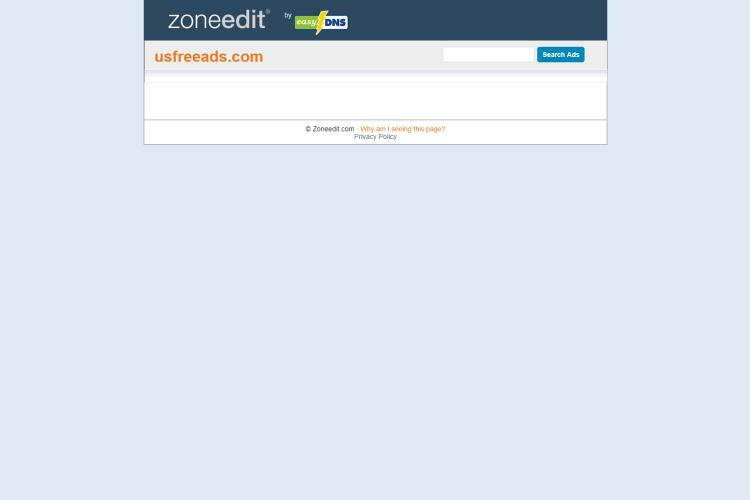 UsfreeAds.com is another one of US free classified ad websites. The website allows users to post Ads with images and videos; you can also share published Ads to social media pages/groups. 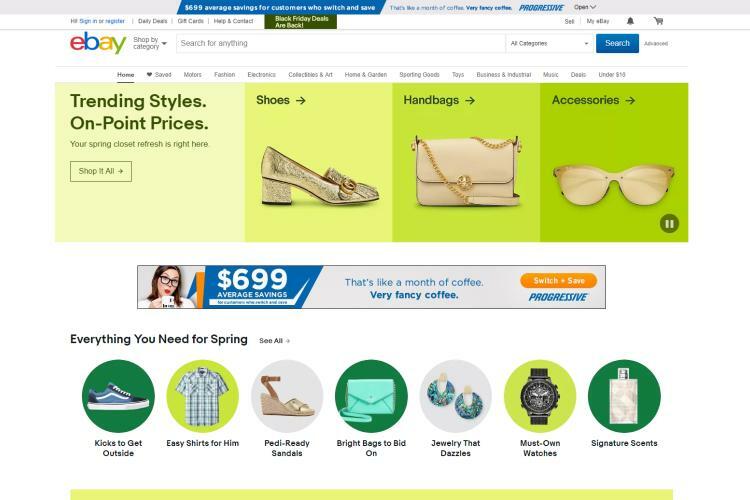 Buyers will find it easy navigating this website, all posted Ads are grouped, and at least five similar Ads will be displayed under each advertisement page. 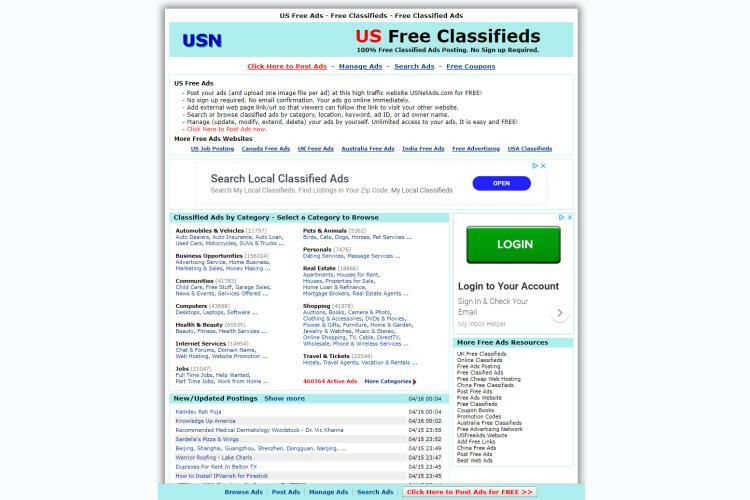 USnetAds is a simple, yet efficiency USA classified ad website, the website lets you upload one image per ad, add external links (this can allow you to promote your website), change Ads, update Ads, extend Ads or delete Ads. Posted Ads go live immediately, and no sign-up or email verification required. 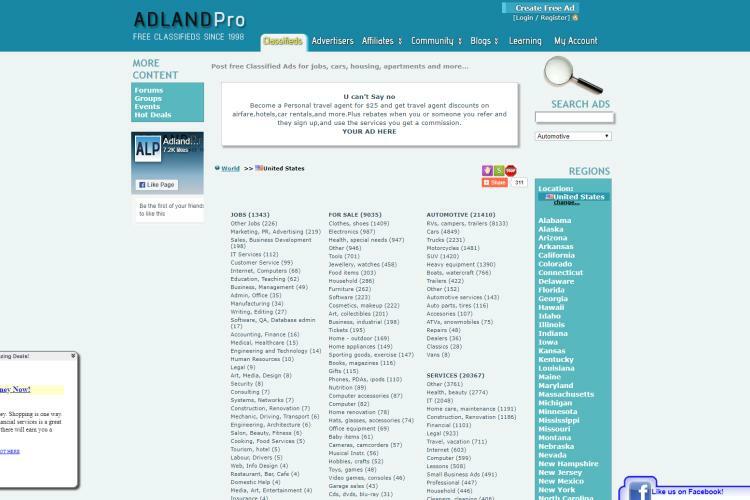 Adlandpro is one of the classified Ads websites that has been in the game for a long time,Adlandpro was founded in 1998;over two decades and still delivers the right Ads to the right audience. Despite the websites plain design, it still gathers millions of web traffic per month.Adlandpro requires signing up, but you sign up with Facebook which makes the sign-up process easier and quicker. 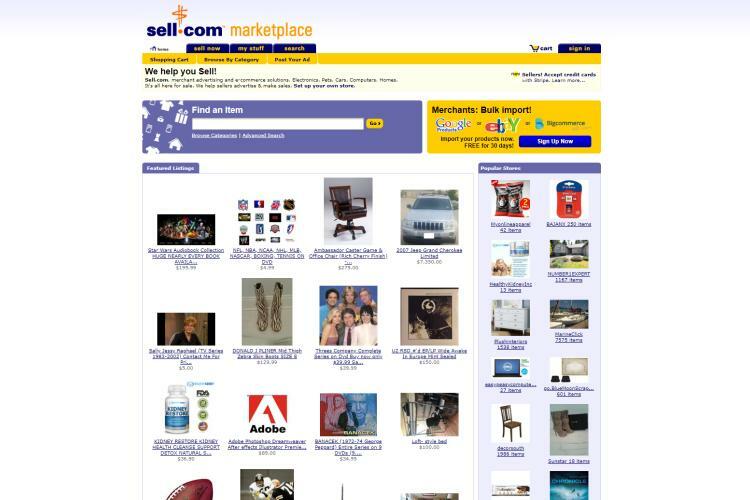 Sell.com helps sellers to sell varieties of stuff they need to sell in the US, stuffs that can be sold on sell.com include electronics, home/land properties, pets, and other things, visit the website to see more. Sell.com is ideal for merchants and manufacturers. The website uses a ratings algorithm that let you see best sellers first whenever you search or enter a category on the website. 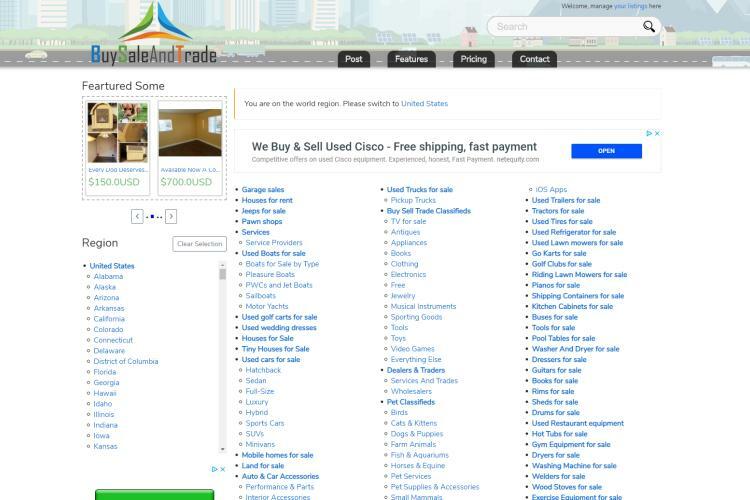 Sell.com also allows you to import listings from other classified websites instead of inputting them manually. You can view or sort listings by a seller, time, and other criteria. 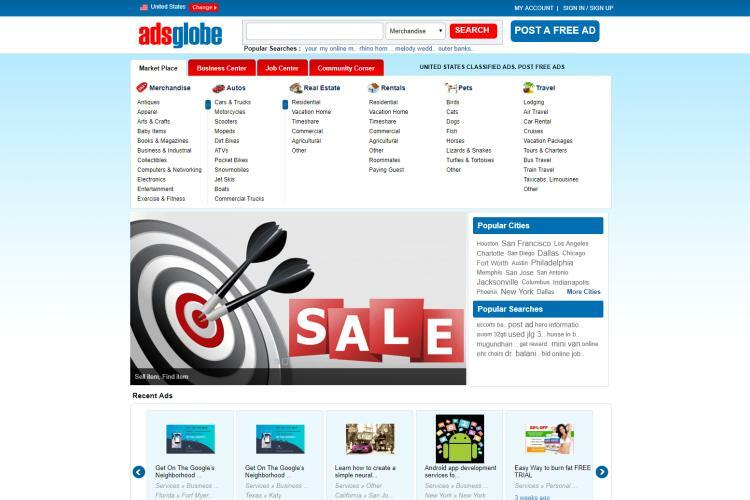 If you are looking for convenient, free and high DA classified Ads website, Adsglobe is another website to visit. Adsglobe’s advertisements are divided into four distinct headers which are job center, community center, business center, and marketplace. 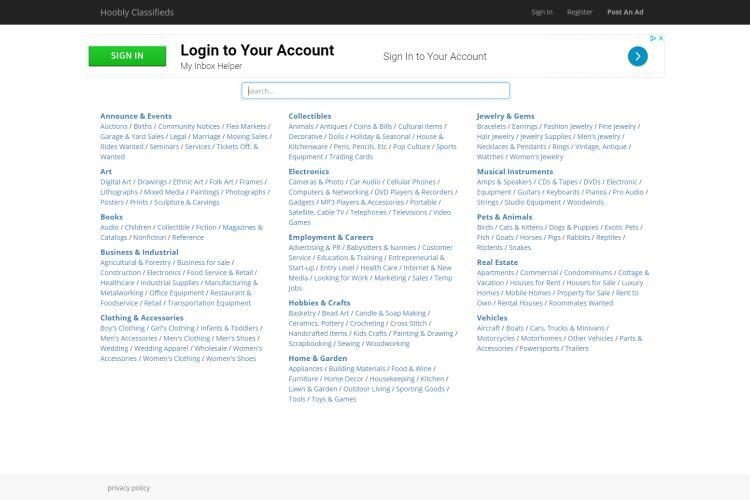 Each header has multiple categories further divided into multiple sub-categories so that buyers can easily narrow down to what they are looking for. Things you can buy or sell on Adsglobe.com include Real Estates, autos, pets, and so on. Last but not least of the top free classified ad website to post advertisements in the USA, Buysellcommunity provides hundreds of categories for various kinds of items and services. Popular categories include computers, arts and antiques, travel and events, vehicles, real estate and many more. 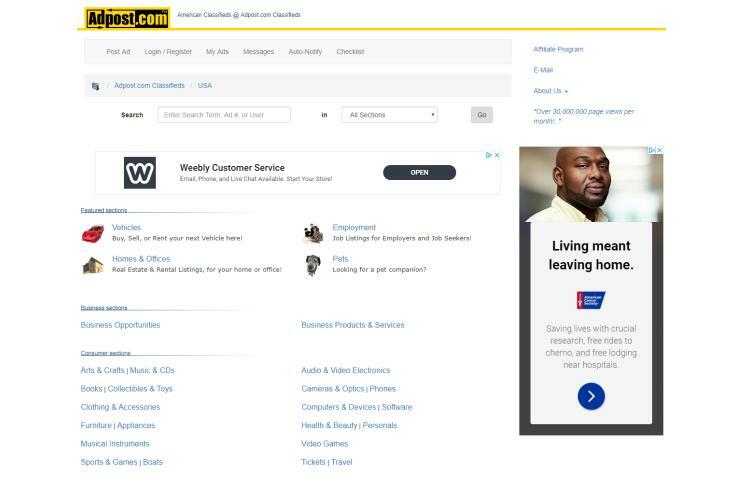 The website layout is neat and featured Ads are displayed on the homepage with the most recent displaying at the top of the page. With adequate advertisement, your business will experience better sales. Some of these websites have their respective mobile apps which you can be downloaded on app stores or directly from the sites, and then you can always post or view Ads more conveniently. Remember advertisements boost sales, so post Ads today, with the websites listed above it might not cost you a dime. The classifieds sites are platforms offering solutions in several sectors. They play the role of an intermediary channel between those who offer and those who ask. Some are generalist, others are specific to a single sector. Generally, we find on the web ads sites geared to employment, real estate, leisure, multimedia, vehicles, professional equipment, services, etc. Selling prices on ad sites are lower in most cases compared to retail stores and physical stores. In addition, there are second-hand objects at a good price. Except that it should be remembered that "used products" is not synonymous with poor quality. The classifieds sites facilitate the purchase. In addition, they allow to have a wide offer of products and different prices. The user selects the best offer and contacts the advertiser. In general, this service is completely free, without fees or commission. 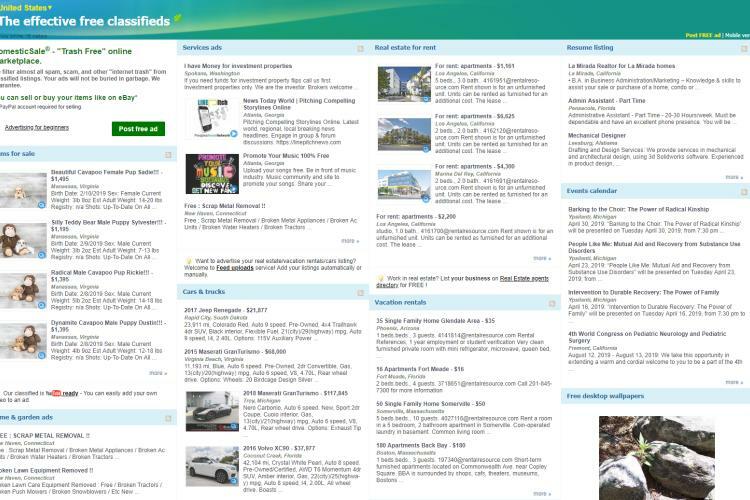 The free classifieds sites are the first places to look each morning to find bargains online. Often, people in need give away their property at ridiculous prices. If you have a qualification, you can offer your skills on the job or service section of the ad portals. Similarly, for a recruiter, he can find a bank of job seekers. Thoughts on "Top Classifieds websites in USA"